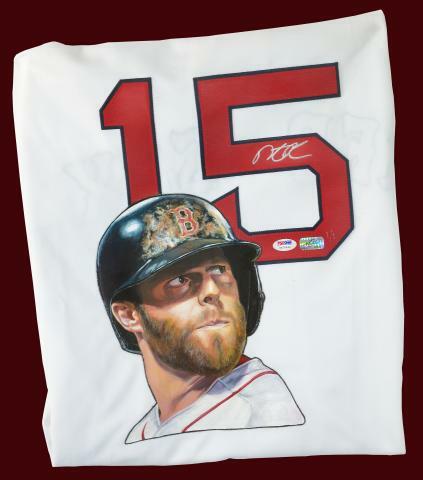 This could be one of the most unique collectibles available, complete with authenticated signature of Red Sox infielder Dustin Pedroia..
An authentic Boston Red Sox #15 jersey signed by Dustin Pedroia, featuring the Boston 2nd baseman's likeness - handpainted - courtesy of McKay Studios. This is a one-of-a-kind item that includes PSA/DNA Authentication! Get it now for your collection before it is gone. 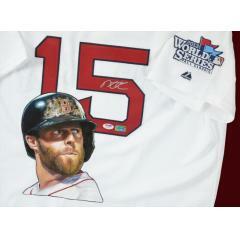 Any Red Sox fan would love to display this signed jersey on the wall in their home or place of business. Due to the very rare nature of this item we must charge your credit card for the full price immediately upon taking your order. 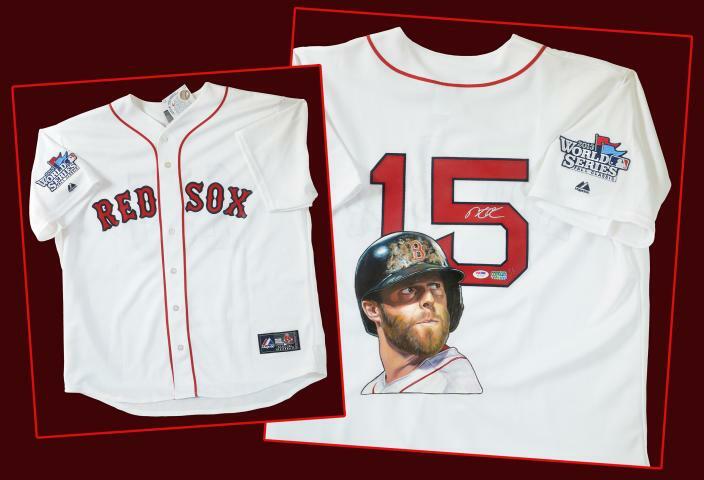 This policy ensures we reserve the signed jersey for you. We will confirm your order by email. 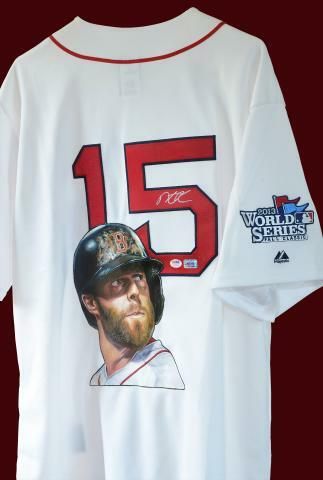 This jersey is not game worn. This item is in stock and ready for immediate shipping. 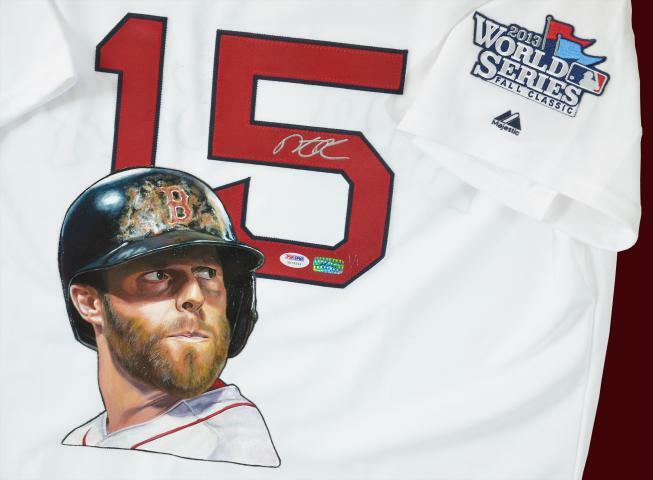 Dustin Pedroia Signed Jersey with Hand Painted Image $1,895.00 Sold Out!